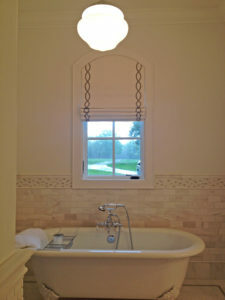 So, why do builders always put a big window over the bathtub?! Often, it has a view of the neighbors’ house or the road. 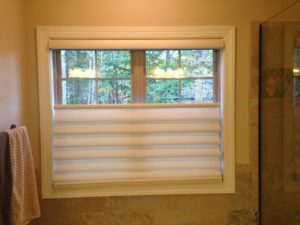 How do you have privacy, but avoid losing the light or have to crawl in and out of the tub to open and close the window covering? 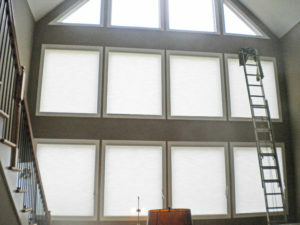 How about a shade that comes down from the top and up from the bottom. 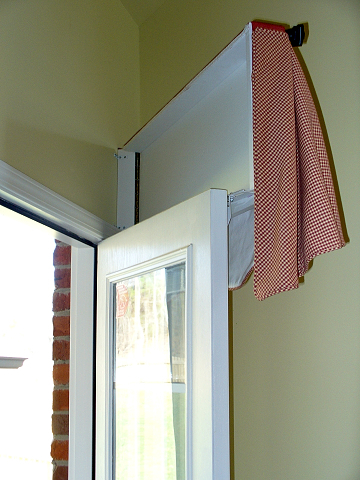 You can leave the top down enough to let in light, but still have privacy. 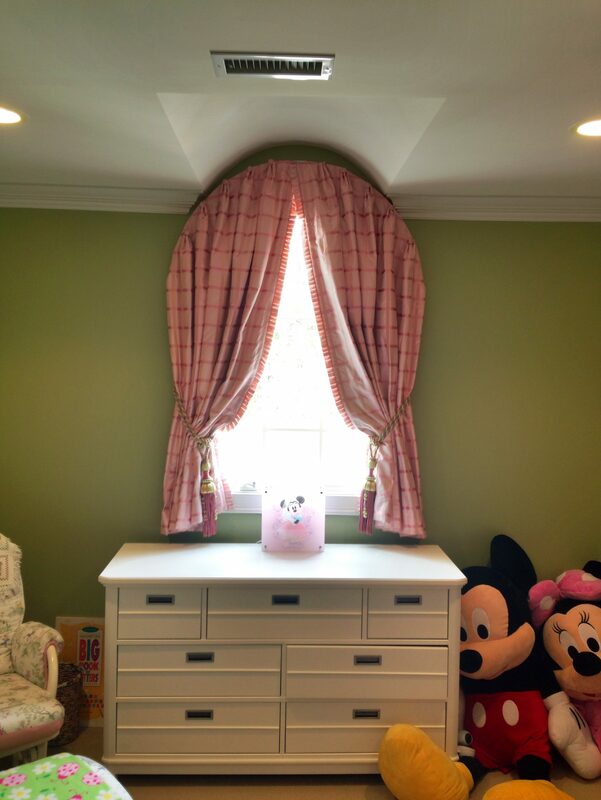 You wouldn’t have to move it everyday. 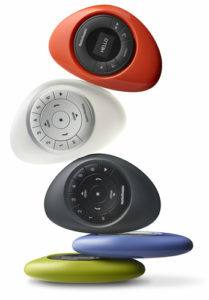 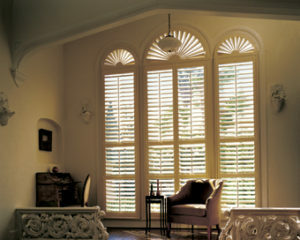 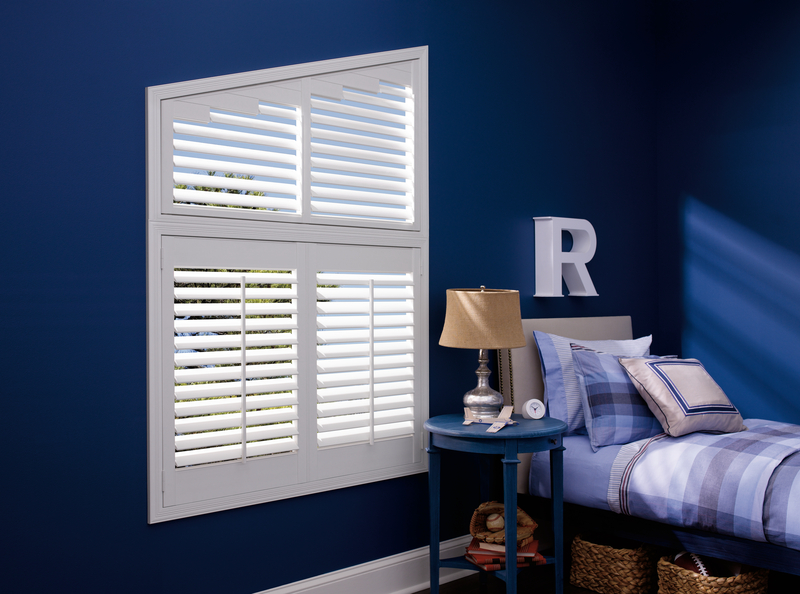 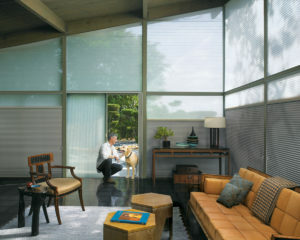 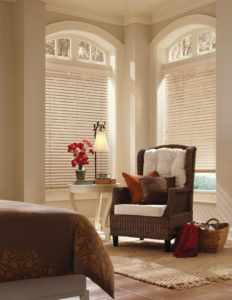 Of course, most any shade can be motorized so that you can open and close with the touch of a button! 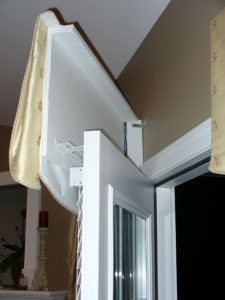 Fabrication by Window Works Studio, Inc.
by Window Works Studio, Inc. 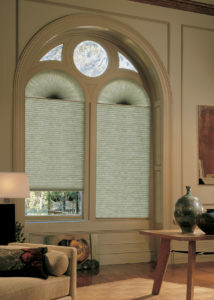 Fabric Roman Shade and Pleated drapery made to fit within arch window. 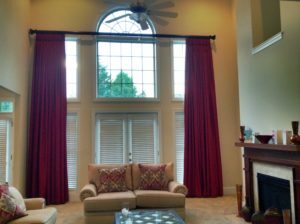 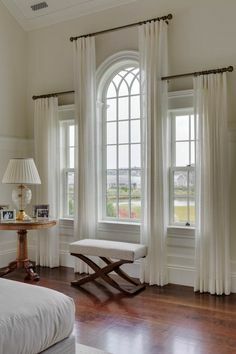 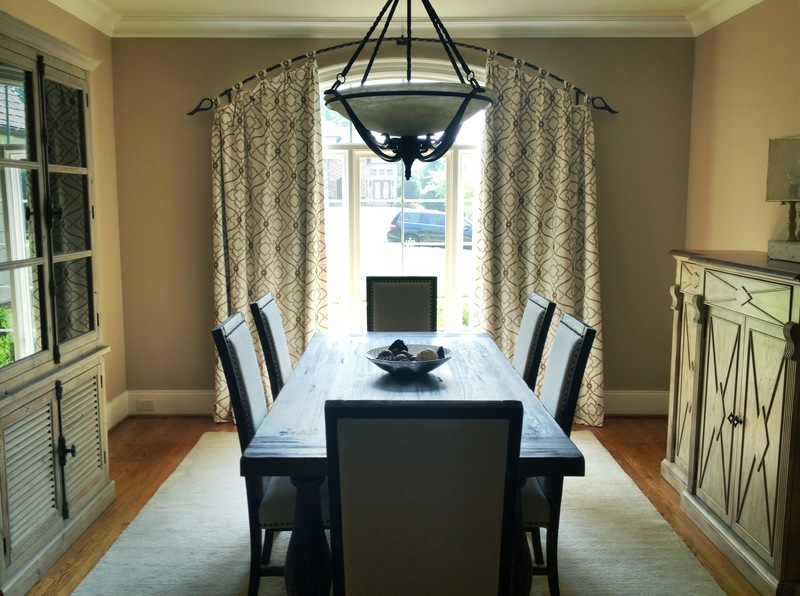 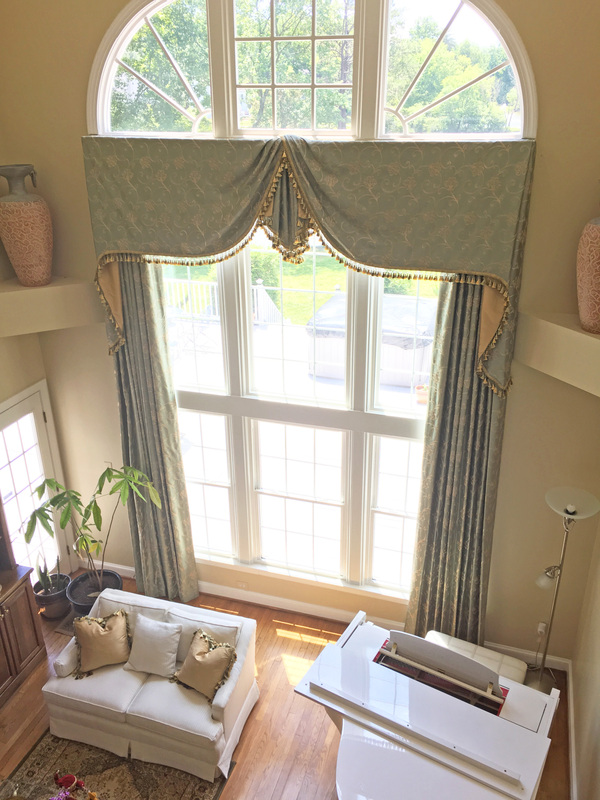 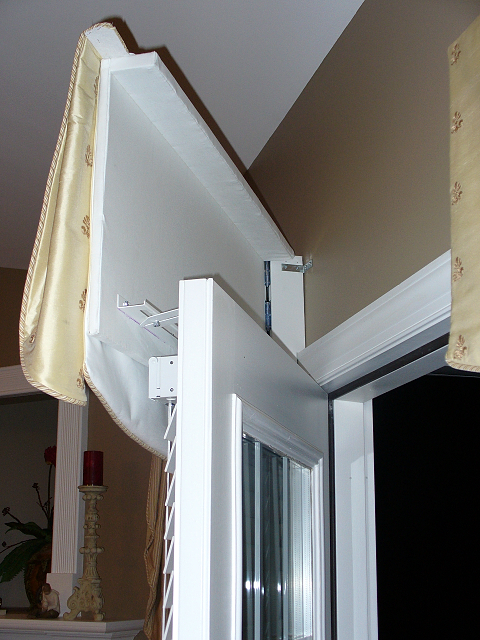 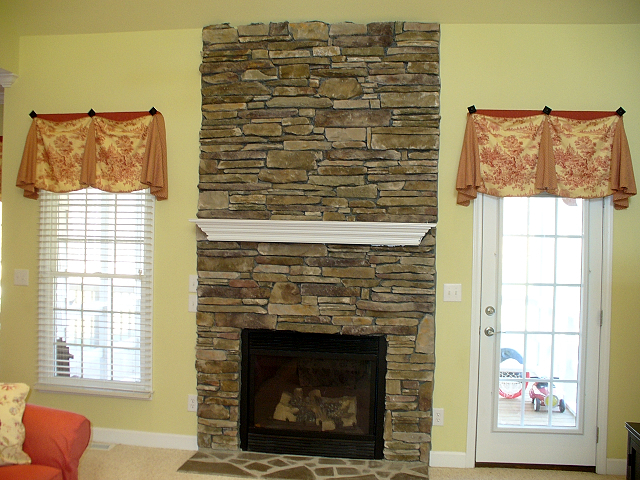 Isn’t it frustrating to have a door that needs a valance to match the other windows in the room, but if you put it at the same height as the window valances, you won’t be able to use the door! 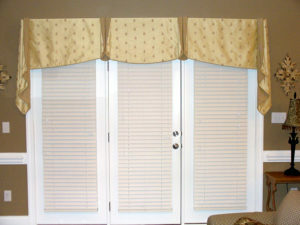 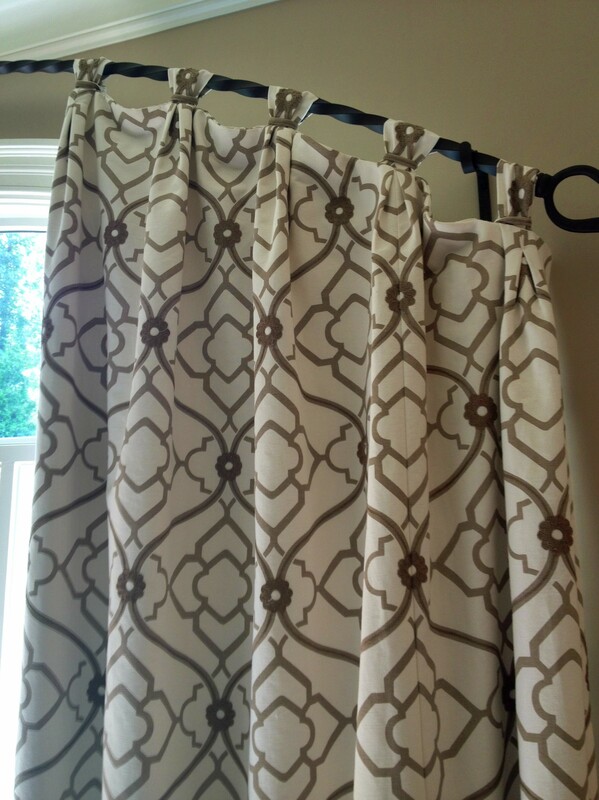 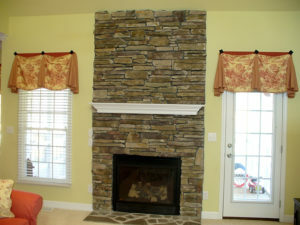 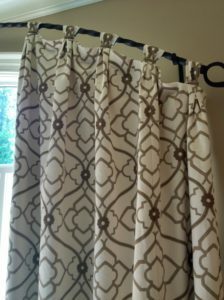 You could put a tiny valance on the face of the door in the same fabric, but it seems so small and disconnected from the other valances. 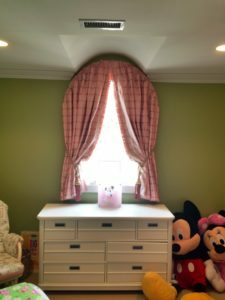 What do you do!? 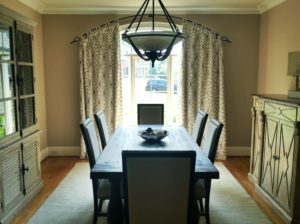 Design by Designers Attic Fabrication by Window Works Studio, Inc.
People often call us about there “standard” window, but as you can see, there are many different types of windows in homes these days and there is always a solution!